“It’s about time for another stadium improvement post” — we were thinking that just this morning! 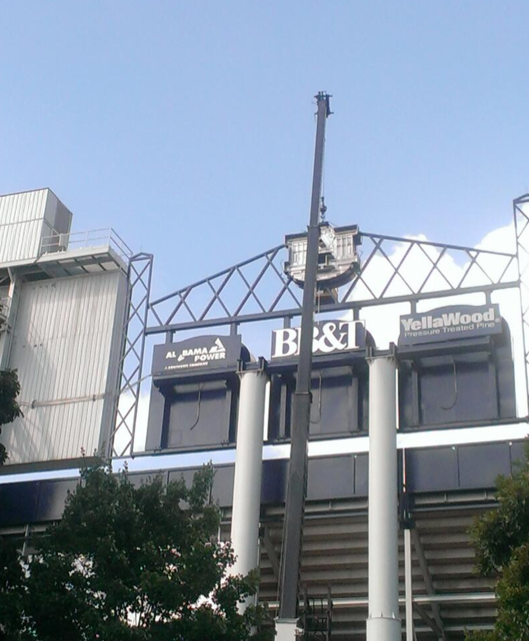 And lo and behold, Jordan-Hare is getting some new AU logos for the scoreboard. 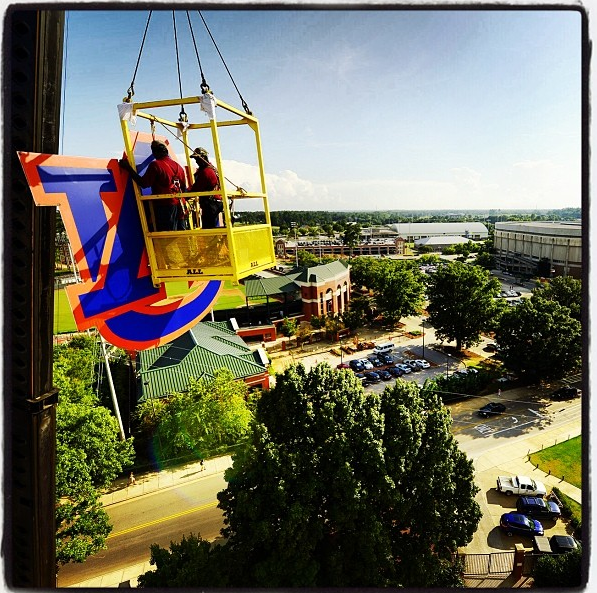 And lo and behold, the incomparable Todd Van Emst was there to Instagram the heck out of it. Question is: Can we buy the old ones on eBay? Bottom photo: @Clintau24 (whom you should follow).